Beautifully crafted in solid wood, intricately detailed— and musical. Wind the key and each plays a classical masterpiece. Violin (HJ6302) is 7" on display stand and plays "The Blue Danube." 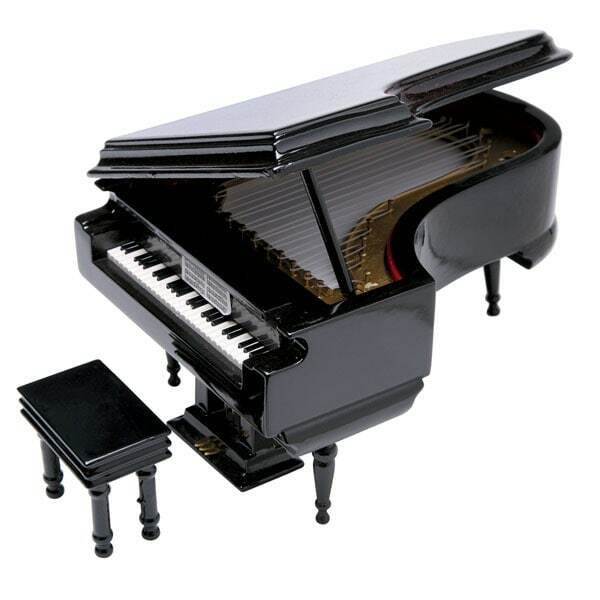 High gloss 8 ¾"piano (HJ6312) with bench plays "Fur Elise." Harp (HK6902) is 10" high with 18 strings, and plays "Music of the Night." Each arrives in a velvet-lined case. Sold separately.